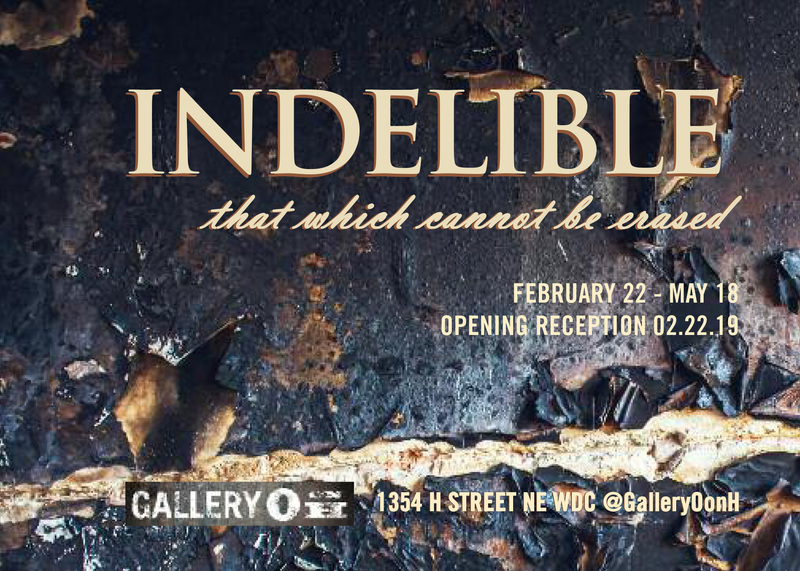 I am overjoyed to announce that I will be one of five artists participating in INDELIBLE: That Which Cannot Be Erased, at Gallery O on H, 1354 H Street NE, Washington DC, from February 22 to the end of May. I will have over 40 palladium prints in the show. I also want to give a huge round of applause to Mary Ellen Vehlow, the owner of Gallery O on H and curator of this show, for including my work in a very powerful exhibit. INDELIBLE: that which cannot be erased. 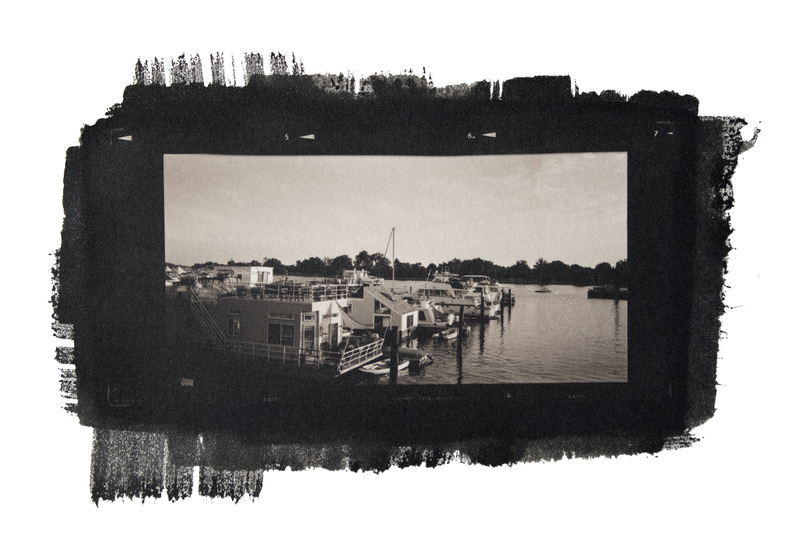 A multimedia two-floor installation curated by Gallery Director Dolly Vehlow of GalleryOonH and Busboys and Poets Arts Curator Carol Rhodes Dyson. Opening Reception: February 22nd 6-10pm. On exhibit through May 2019. Daily Tuesday 5-7:30PM, Wed-Fri 12-5PM, Saturday 11-3PM. Indelible: that which cannot be erased is a confrontation of an unjust and repetitive history. The works in this exhibition seek to highlight a narrative often overlooked by mainstream art history to illustrate a continuum of injustice in our nation, featuring artists working in its capital city. Inspired by Black History Month, the show seeks to focus on the cyclical nature of unresolved issues–from the legacy of slavery to modern day police overreach and violence. The works included are a visual embodiment of current events, linked to a sinister history of oppression. 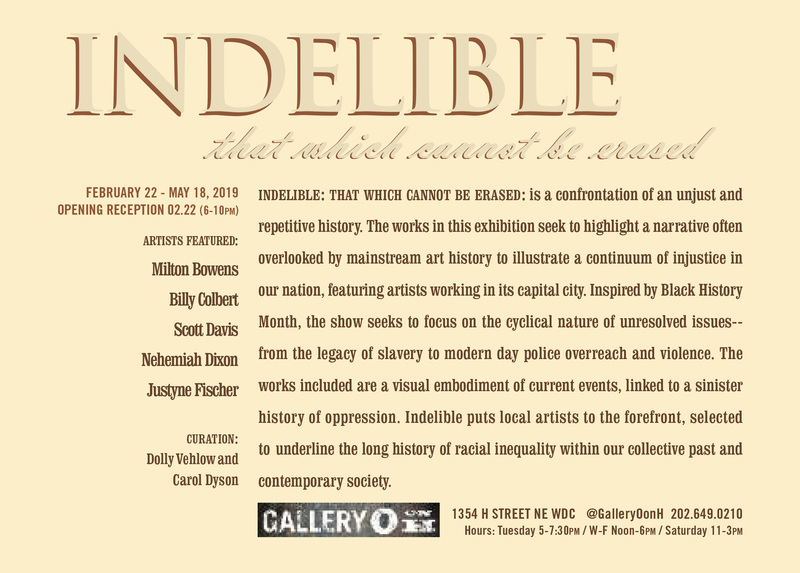 Indelible puts local artists to the forefront, selected to underline the long history of racial inequality within our collective past and contemporary society. Artists featured include Milton Bowens, Billy Colbert, Scott Davis, Nehemiah Dixon, Justyne Fischer and Rodney “BUCK!” Herring. The DC Yacht Club, site of the former docks for the city where in 1848, the Pearl, a merchant ship, had been hired by a group of slaves desiring to escape to the north. The so-called Pearl Incident was the largest non-violent slave escape in US history prior to the Civil War. Seventy-seven individuals had arranged passage. They were betrayed by a fellow slave who did not participate in the escape. The owner of several of the slaves, a Mr. Dodge, sent a steam launch to pursue them down the Potomac. The Pearl had become becalmed near the mouth of the Potomac and was caught by the steam launch. Among the passengers were two of the Edmonson daughters mentioned in the previous caption. In the immediate aftermath of the incident, pro-slavery groups ran amok in Washington DC, attacking abolitionist newspapers and groups. The long-term outcome was that the slave trade was banned outright in Washington DC in 1850, although slavery remained legal in the District until April 16, 1862. 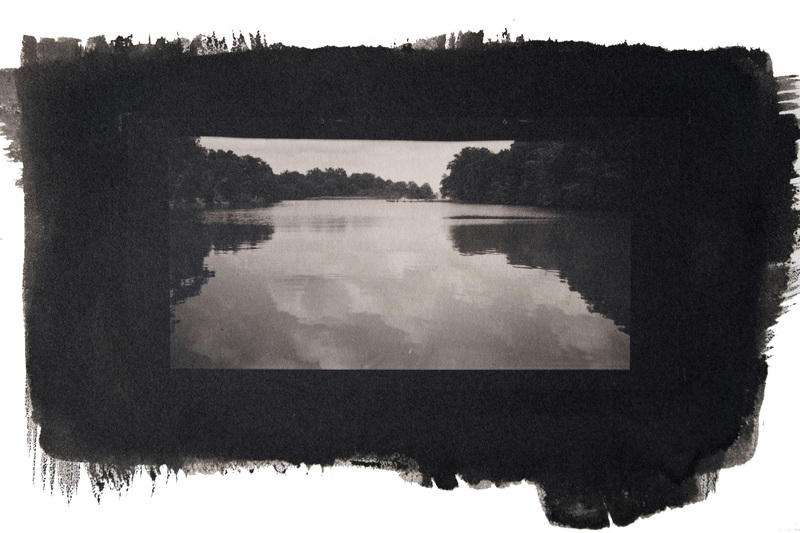 Roland Barthes wrote of how a photograph contains a “punctum”, an element that strikes the viewer to the spiritual core, something that provokes a visceral emotional reaction in them. I believe life has moments of punctum – the origins of this project, for me, was an experience that ran through me like a lightning bolt. I was taking a Civil War history tour through the Smithsonian one late summer afternoon. 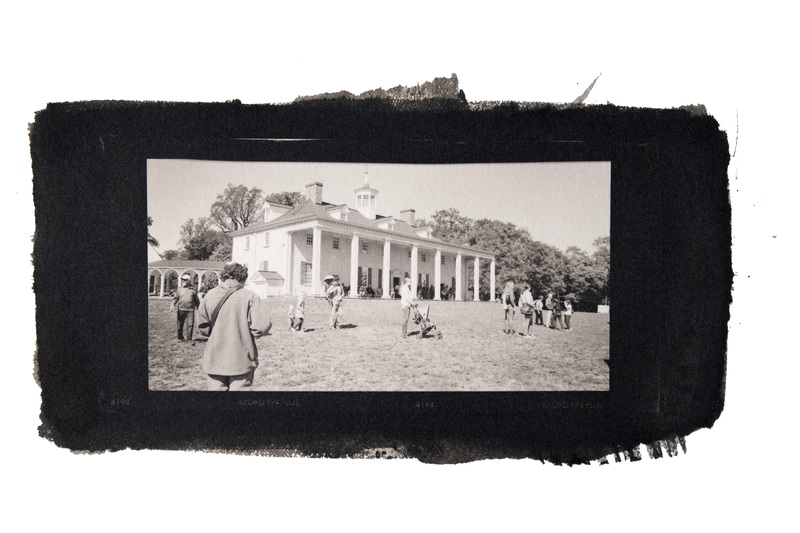 I was standing on the lawn of L’Hermitage, a farm just outside Frederick, Maryland. I was looking around at the gently rolling hills, trees full of green leaves, puffy white clouds dotting the sky, corn in the adjacent field taller than my head, and listening to the guide talking about the history of the place. The “bachelor’s house” at L’Hermitage on the Monocacy National Battlefield. This house would have housed the young un-married male members of the family and their personal servants. Four to six people at a time would have lived here. 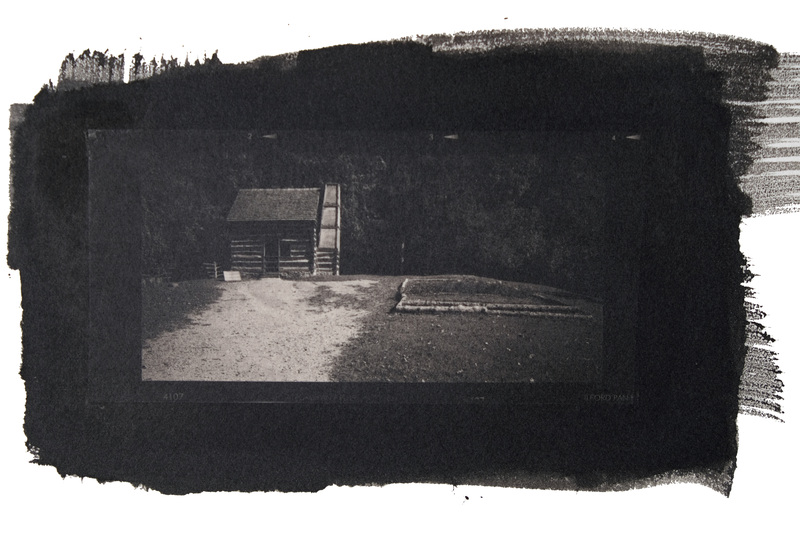 In the field adjacent, just out of the field of view of this photograph, the three slave cabins for L’Hermitage were located. Each of those three cabins were not much bigger than this cottage but held roughly thirty people each. 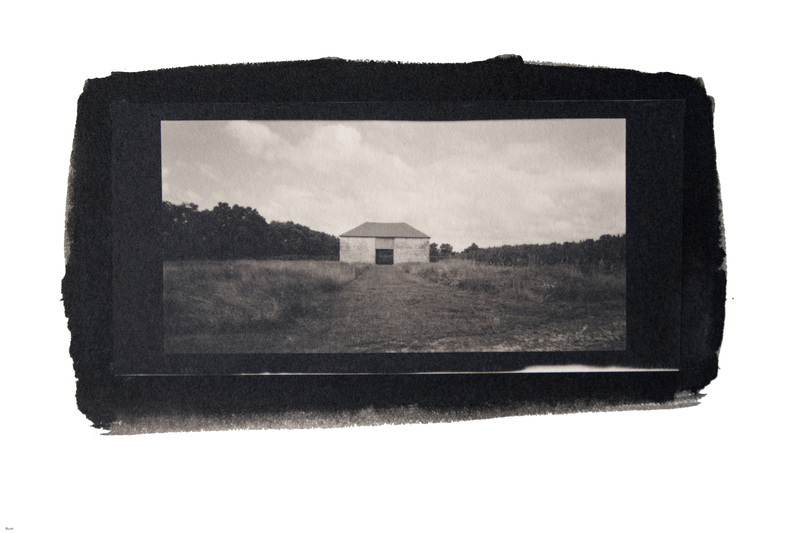 The farm was founded by a family of French emigres from Haiti who had fled the slave uprisings in the 1790s. They re-settled in Frederick, Maryland, and proceeded to attempt to reestablish Haitian-style slavery replete with the same degree of brutality they had practiced before. These people were so brutal with their slaves that their neighbors, slave-owners themselves, called the sheriff on them multiple times. In 1810, the importation of new slaves into the United States was made illegal. After that time, if you wanted more slaves, you had to buy them from someone else, or you could breed them. This family ran a stud service with their slaves, treating human beings as breeding stock. The stone barn at L’Hermitage. The family that built the estate were originally from northern France, and so built their barn in the style of construction they remembered from their home. This would have housed their animals such as horses and cattle, along with carriages or other farm equipment like plows or threshing equipment for wheat. Hearing this, I was struck by the horrific irony of the pastoral idyll of the scene I was viewing being literally soaked in the blood of other human beings who had lived, worked, and died there quite possibly never able to look at that scenery with the innocence I had looked at it until the moment before that revelation. I felt compelled to respond to that epiphany artistically, because I knew from my own experience that all the academic reading in the world does not adequately convey that emotional truth I had experienced. View of the US Capitol from the approximate location of the Capitol Hotel. The Capitol Hotel served as a slave market and slave auction site, and advertised in local newspapers that their holding cells in the basement were sufficiently secure that should a slave owner suffer a loss of property while staying at the hotel, they would be fully insured against the loss. I grew up with a very specific version of the history of this country – it was built by great men of lofty ideals, who imbued it with a progressive spirit intended to raise up the dignity of all humans. As a child, and into my adulthood, I went to the houses of these great men to see the way they lived and the places that inspired them to deliver the great nation of the United States into being. We went to Mount Vernon, Monticello, and Montpelier in Virginia, the Paca house in Annapolis, Maryland, the Carroll estates in Baltimore, and dozens of other colonial-era grand homes – their grandness was signaled as direct proof of their virtue and wisdom. The Mount Vernon mansion. Home to George Washington, first president of the United States, an extraordinarily wealthy man, and whose profits were built almost entirely upon a large slave labor force (over 300 persons) required to manage the agriculture and industry on his 3000+ acres. Look upon this house and remember that this nation was not only founded by slave owners, it was built by slave labor and the profits of slave industry. It was never discussed that they had the wealth and leisure to develop these lofty ideas because they owned in some cases hundreds of their fellow human beings who labored for them to produce that wealth and leisure. Nor was it discussed that these men who wrote so eloquently about the inalienable rights of life, liberty and the pursuit of happiness saw fit to administer corporal punishment to the people they owned when those people decided that they too were deserving of the same life, liberty and happiness their owners wrote about. A reconstructed slave cabin at Mount Vernon. This is typical of what the average enslaved worker would have lived in – log and mud construction, no glass in the very small window, poor ventilation, and two rooms (one under the roof, one on the main floor) shared by an entire family, perhaps two. I still go to see those great houses because I am fascinated by the styles and architecture of bygone eras, but now I think about how they were paid for (and often built) with slave labor. It is a metaphoric and literal foundation to this country that we must acknowledge and recognize if we are ever going to make forward progress. The landing from the Patuxent River at Sotterly Plantation, in southern Maryland near St. Mary’s City. At this location in 1729, a cargo of 220-plus people were delivered to the owner of Sotterly, George Plater, to be transported overland to St. Mary’s City where they would be auctioned off and he would receive a commission from the sale. This is one of five documented “Middle Passage” sites in Maryland and the first to have a memorial marker. I chose to produce these images the way I have for two reasons. 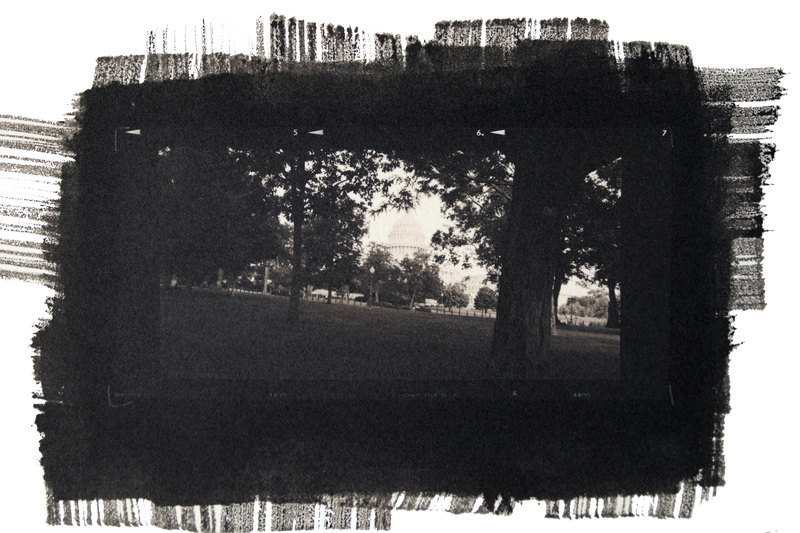 I made them as compact contact prints 2 ¼ by 4 ¼ inches in size to force the viewer to engage very personally with the images, so they cannot hold themselves at arm’s length from the subject. 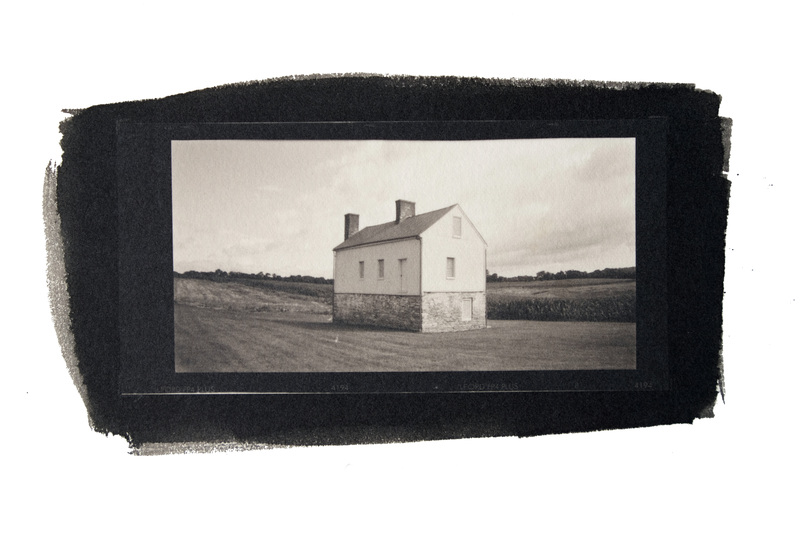 I printed them in an historic photographic process, palladium, because using a noble metal to make jewel-like images that can only be made with extensive manual labor was a metaphorical way of repaying some of the debt to the people who without compensation or recognition built and shaped the landscapes I photographed. 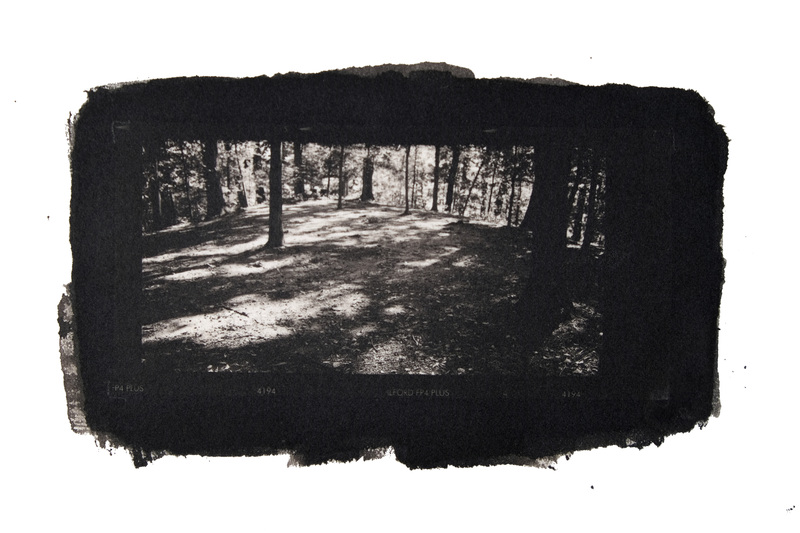 I hope that these images will in this way produce moments of punctum for the viewers the way they have for me. This is the slave graveyard at Mount Vernon. There are believed to be between 50-75 people to be buried here. Not a single one of their graves has even a headstone to mark their final rest, and in the Mount Vernon records, many of the slaves buried there are recorded by just a first name. No records of who was buried where in the plot exist, so it is impossible to say which graves belong to which individuals.